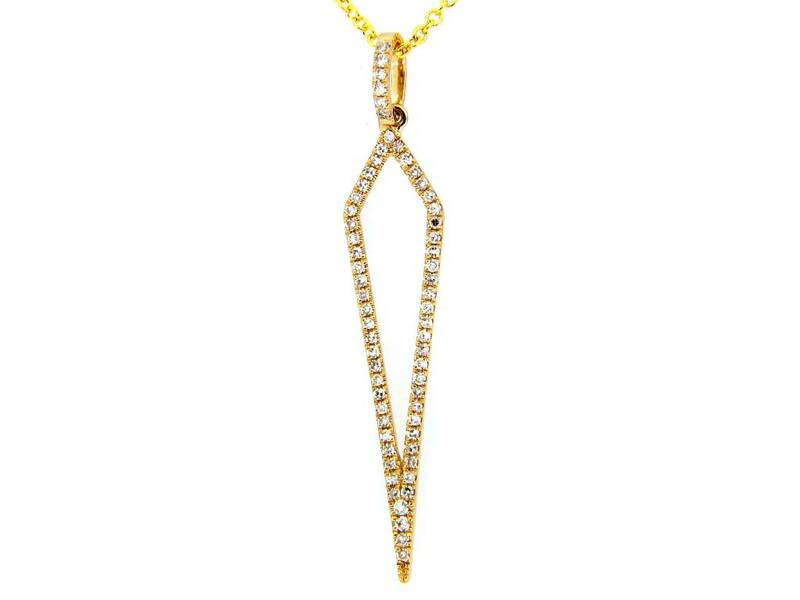 Ladies diamond point pendant of contemporary styling. The pendant is crafted in 14k yellow gold and is set with round brilliant cut diamonds that are micro pave set. These diamonds have a combined weight of 0.16ct. 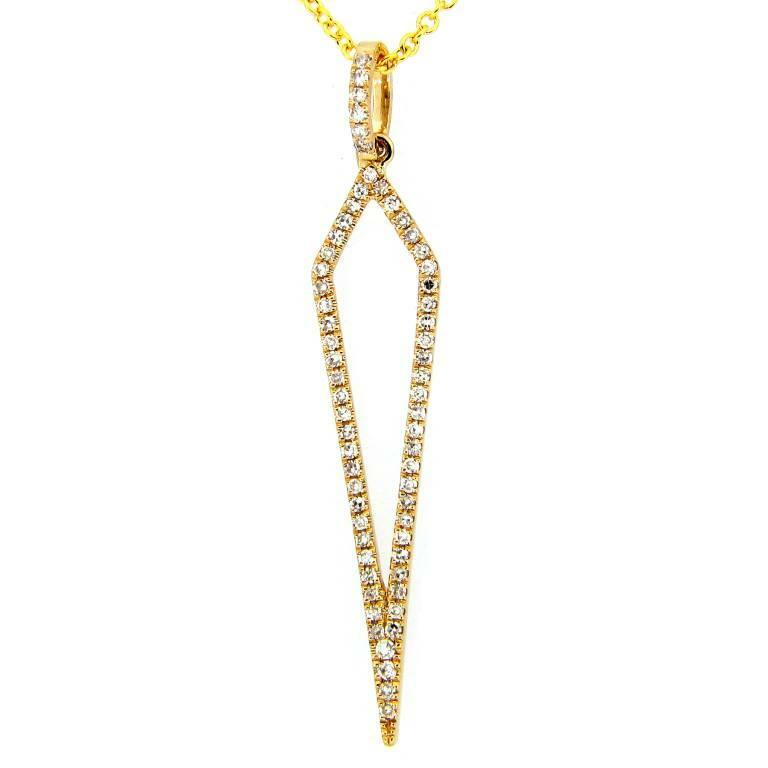 The pendant is suspended on a 14k yellow gold, 16 inch length, rolo link necklace.